On Dec. 17, 2015, the U.S. lawmakers said that Iran’s continued ballistic missile tests are a serious affront to the recently signed nuclear accord. 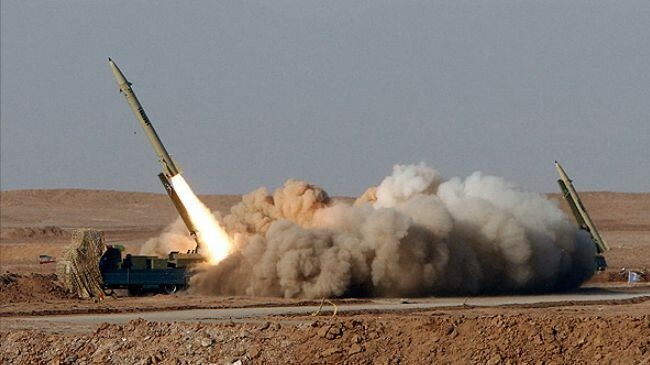 Tehran is reported to have launched two missile tests on October 10 and Nov. 21, 2015, near Chabahar, a port city close to Iran’s border with Pakistan. Congress views this as a blatant violation of Tehran’s obligations under U.N. Security Council resolutions known as the Joint Comprehensive Plan of Action (JCPOA), agreed in Vienna on July 14, 2015, by Germany, and five permanent members of the Security Council. Some Democrats on the committee are also of the view that Iran’s ballistic missile tests are an affront to the nuclear accord. Ben Cardin of Maryland remarked that the missile tests show that ” They cheat and want to develop nuclear weapons through covert activities.” Robert Menendez, a New Jersey Democrat, rallied behind Cardin saying, Tehran has for the past 20 years “tested the will of the international community.” Menendez added that there should be “zero tolerance” for any deviations from the spirit and letter of the JCPOA. In terms of the provisions of Annex V of the JCPOA, Iran’s ballistic missile tests might not be seen as an affront to the nuclear accord. Annex V provides that, “The provisions of this Resolution [UNSCR] does not constitute provisions of the JCPOA.” Arguably, this might mean that Tehran may continue to willfully go against the obligations of the agreed resolutions, while at the same time, benefit from the lifting of economic sanctions. This “twisted logic” has disenfranchised the U.S. and its allies who have called upon the U.N. Security Council to punish Tehran for its actions. 3 Responses to "Iran Ballistic Missile Tests an Affront to the Nuclear Accord"